Joe (King) Krol could run, kick, and pass, and became one of the greatest triple-threat players. 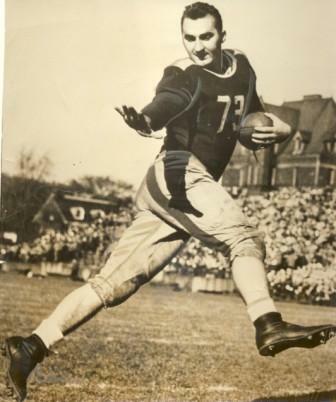 Krol started with the Toronto Argonauts in 1945 and became one of best players for the Argonauts. Krol and his teammate Royal Copeland, was known as the ‘Goldust Twins’ as they were responsible for numerous magical plays. Krol scored a total of 30 points in his seven Grey Cup appearances, and for 28 years that was a league record. Joe Krol is a member of Canada’s Sports Hall of Fame.